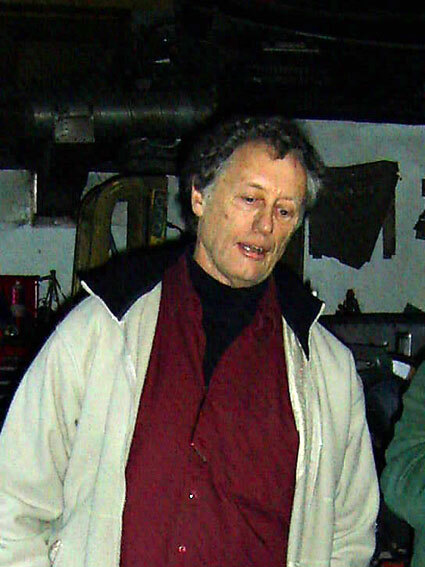 Stephen Bowen who has owned WJB since 1966. 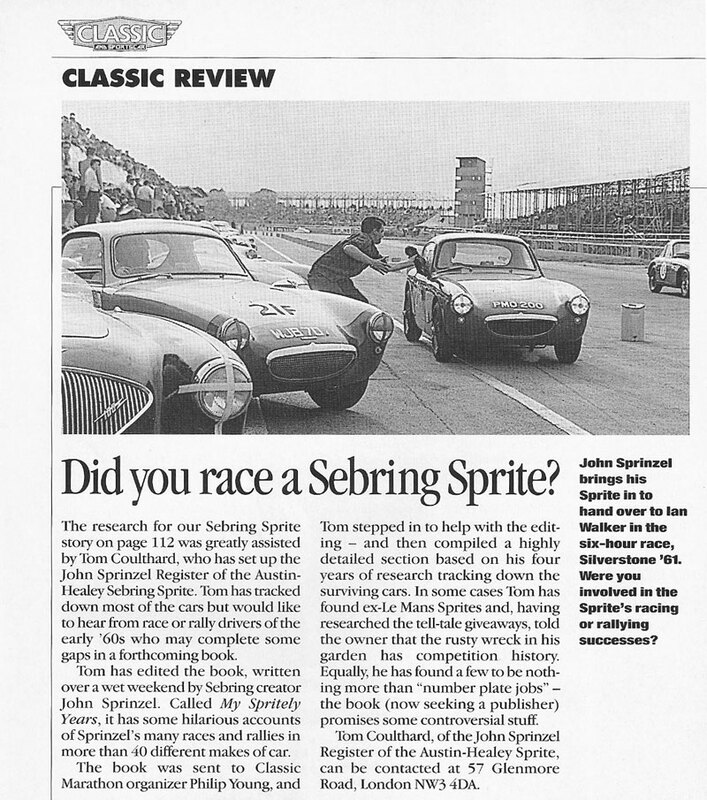 From Classic & Sportscar Sept, 1990 this letter from Ian Walker about the car - kindly sent in by John Poulter. 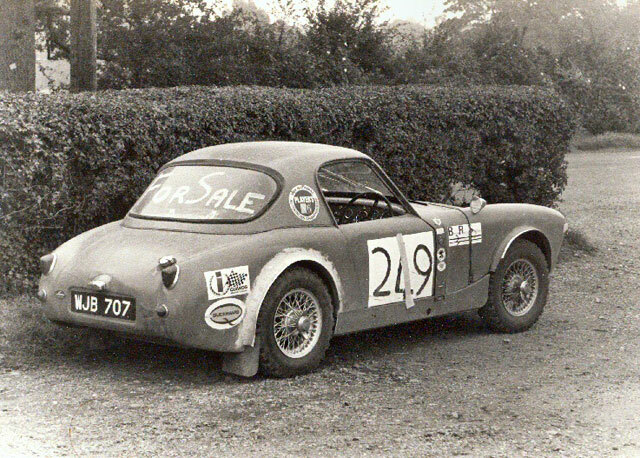 Campaigned very successfully by Ian Walker in the 1961 season, this car was then sold into private hands and was later bought by Stephen Bowen in 1966 and he still owns it to this day. 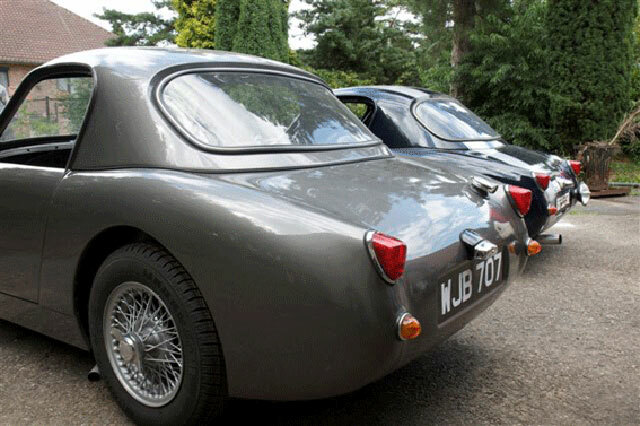 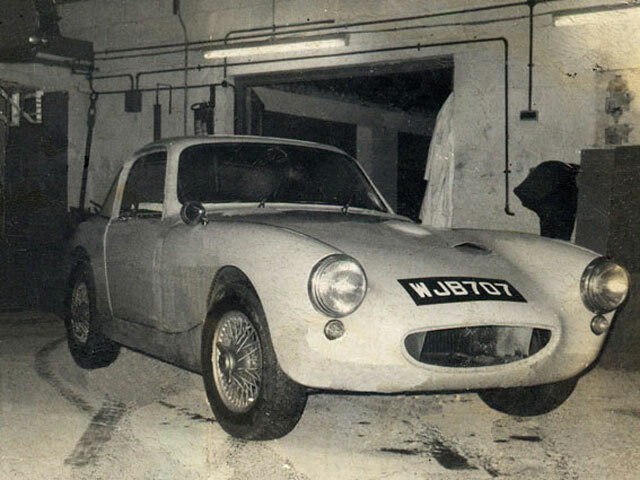 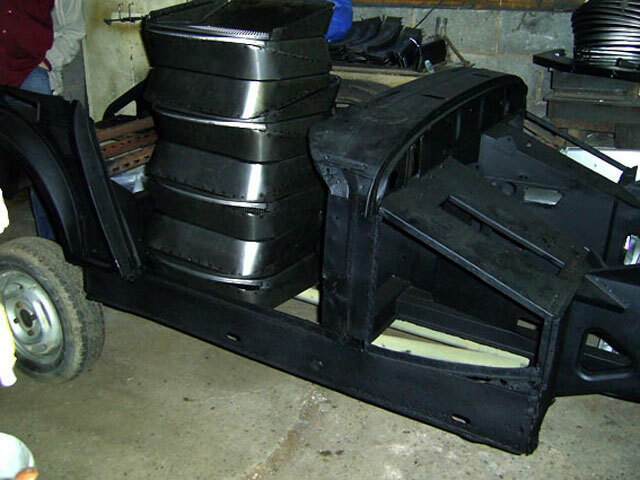 The alloy hardtop was loaned to Brian Archer so that he and his team could take a mould for the replica top later marketed by Archers Garage, since which time WJB has been fully restored. 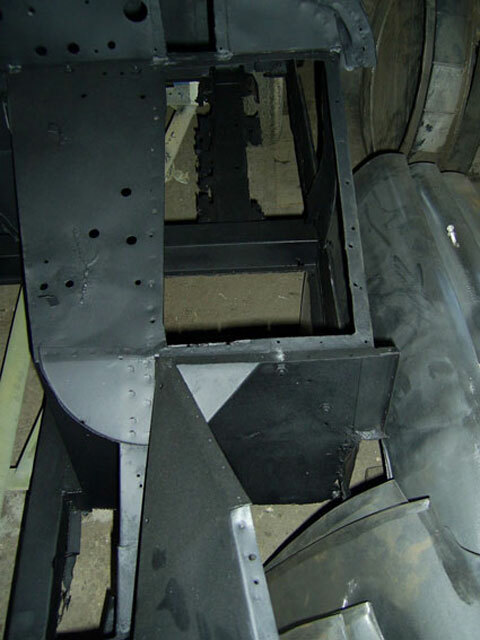 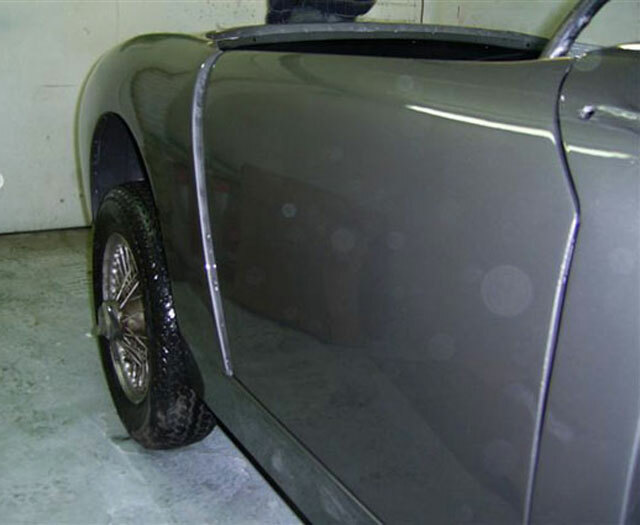 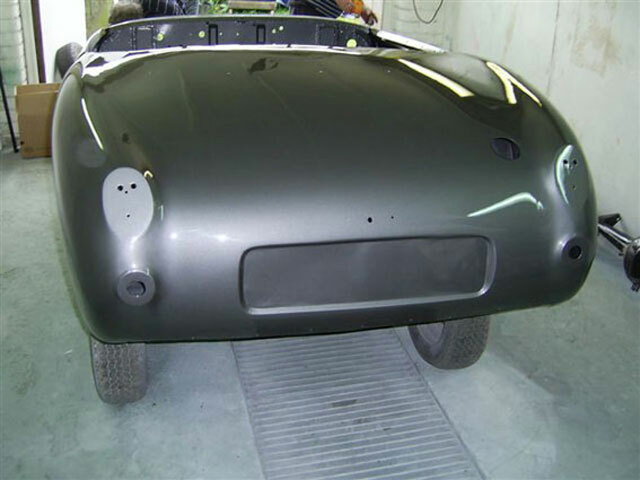 The bodyshell was renovated by Brian Wheeler and repainted in original metallic gun-metal grey. 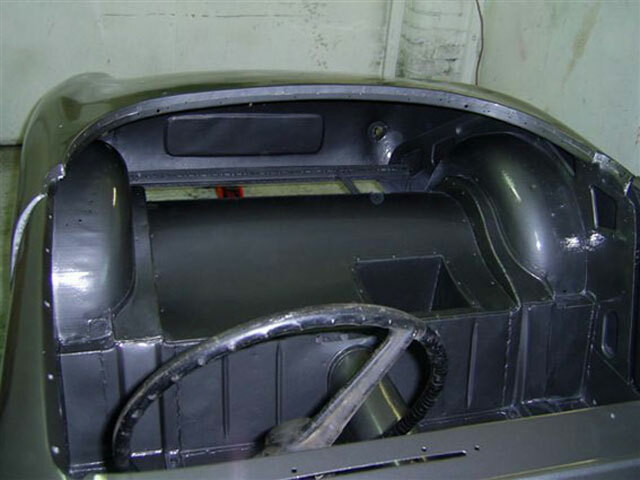 A lightweight replacement Sebring bonnet was supplied by Archers Garage. 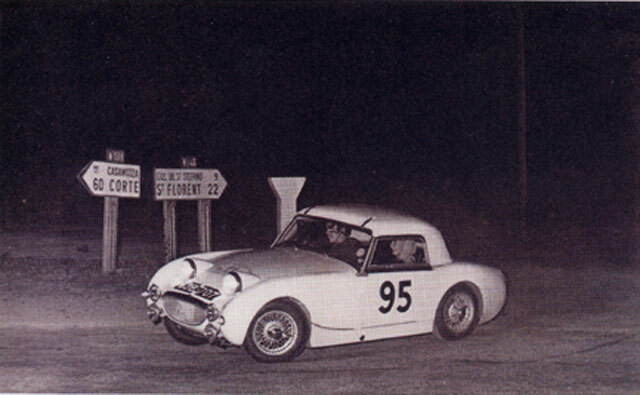 Stephen also built a replica Sebring Coupé which he used for historic rallying (since sold). When Ian Walker sold the car - John Sprinzel explains: "Ian and I delivered it to the new owner​, and he crashed it badly at a Brands Hatch open day - on the first go around Paddock I believe. 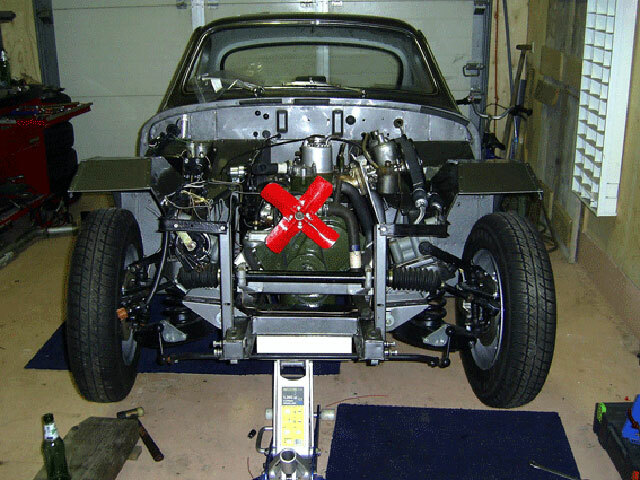 Rob Walker's garage did the rebuild". 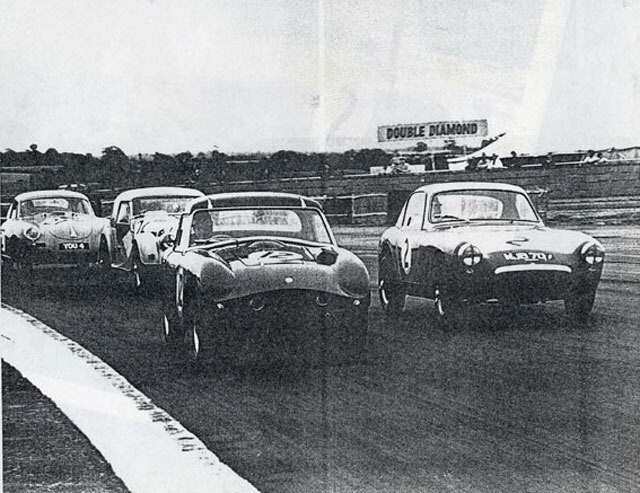 In August 1966, a previous owner, Alastair McHardy entered WJB in two races at the last race meeting to take place at Goodwood, before it closed its doors to racing for over 30 years. 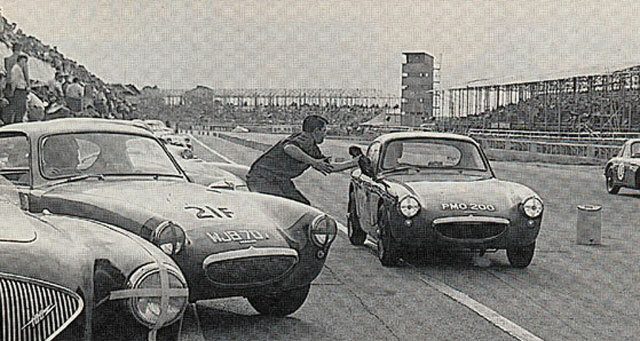 It was driven in two separate races, the special GT race in which it was driven by his friend Adrian (?) 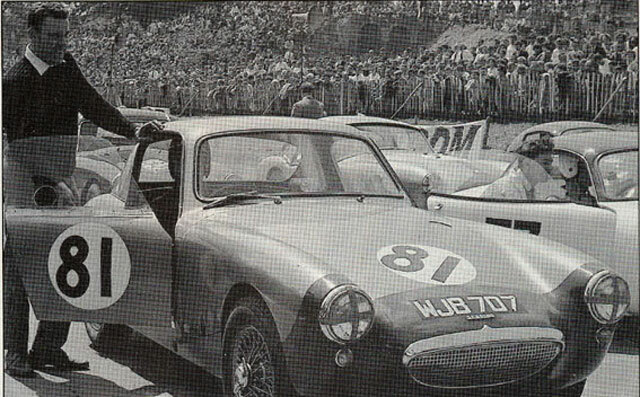 and he himself drove it in the marque race later the same day. 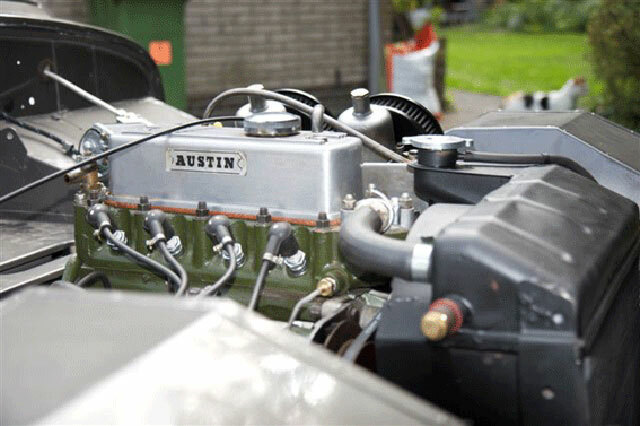 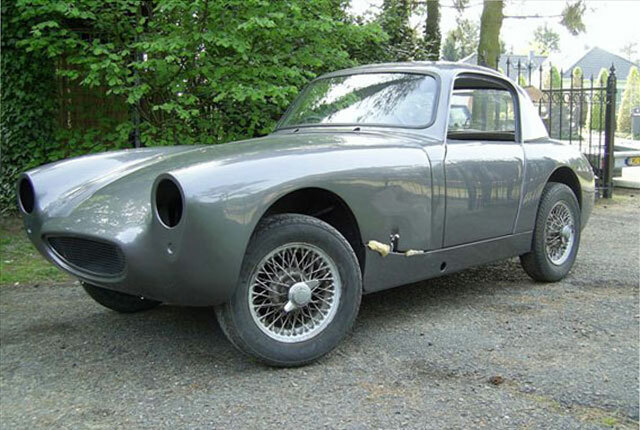 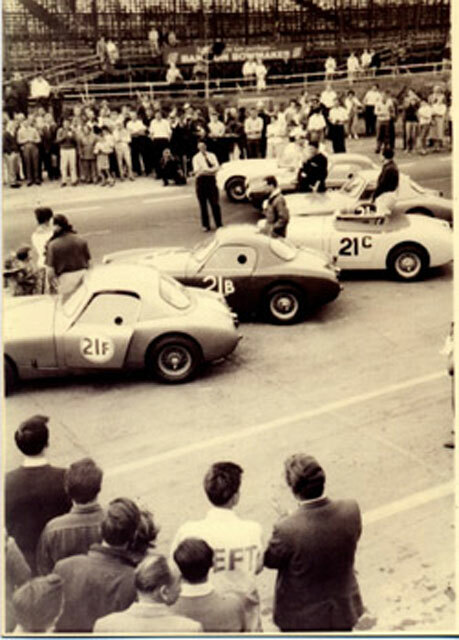 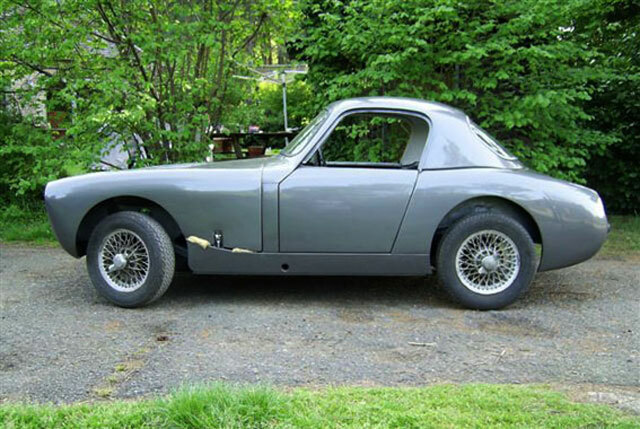 Stephen Bowen purchased the car from Alastair McHardy in Southsea, and re-painted it in navy blue, fitting an 1100cc rally engine from his previous (wrecked) Sprite coupled to the car's close-ratio gearbox, (as WJB came with no motor in it). 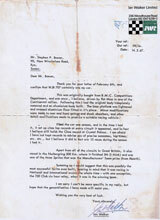 Stephen then worked for tuning firm Nerus and later for Weslake. 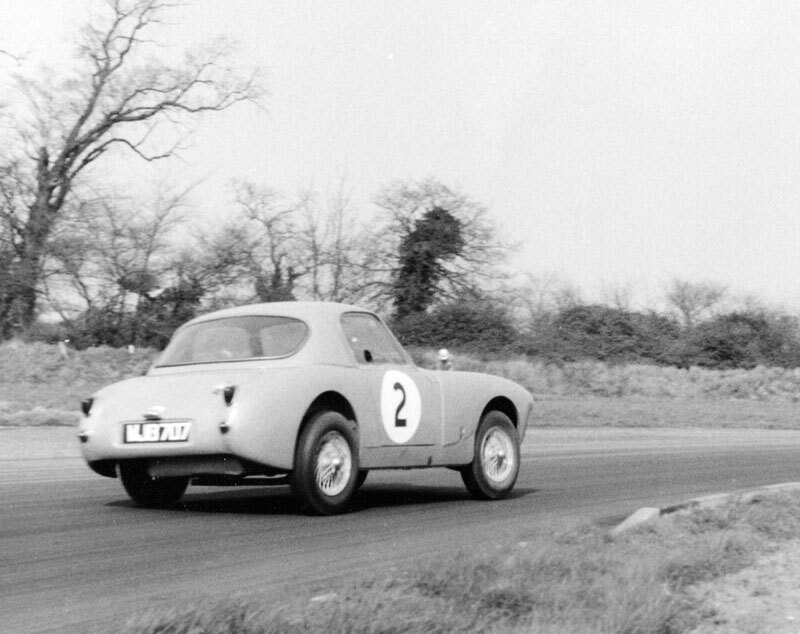 He initially used it as his everyday road car but soon began entering rallies, rallycross events and sprints. 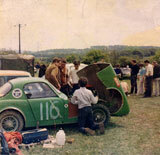 In 1968 he again re-painted it, this time in Dayglow Lime Green (see right) with a pink stripe, and continued to campaign it himself until the following year when his friend Roger Bird shared the driving and the costs. 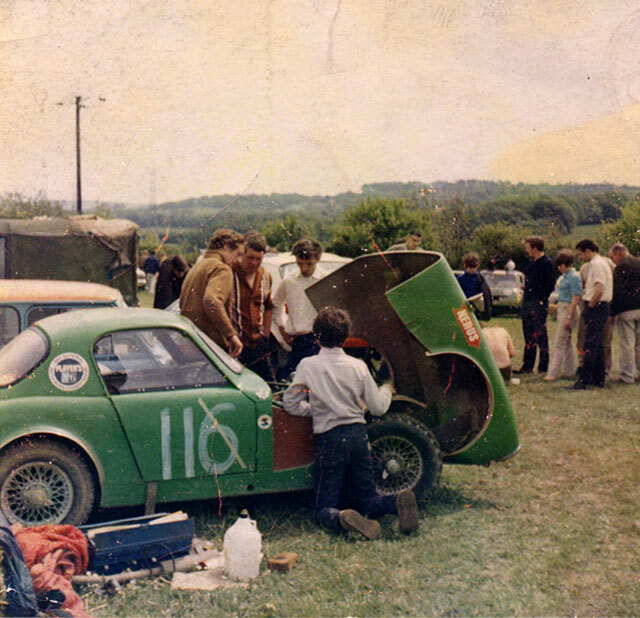 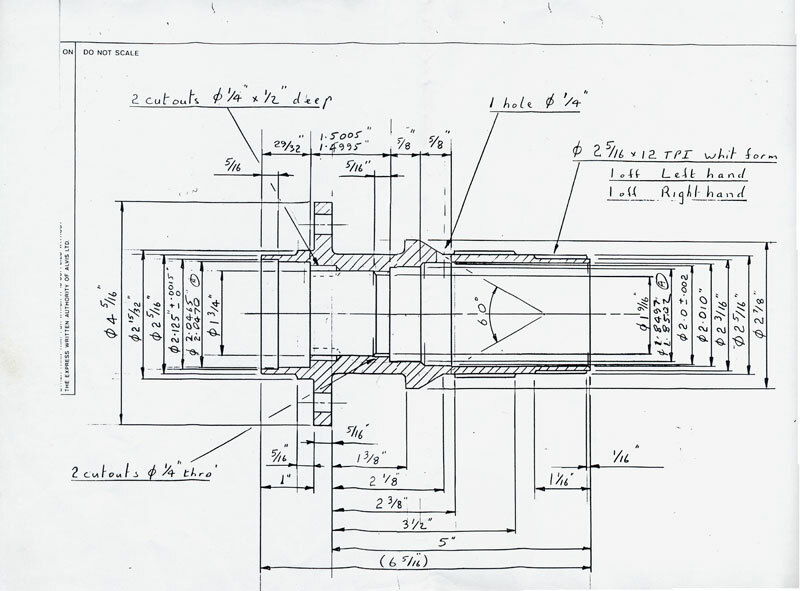 At the end of 1969 Stephen took the car off the road and dismantled it with the intention of rebuilding it, but he was sent to work in Germany by Weslake so the work was shelved. 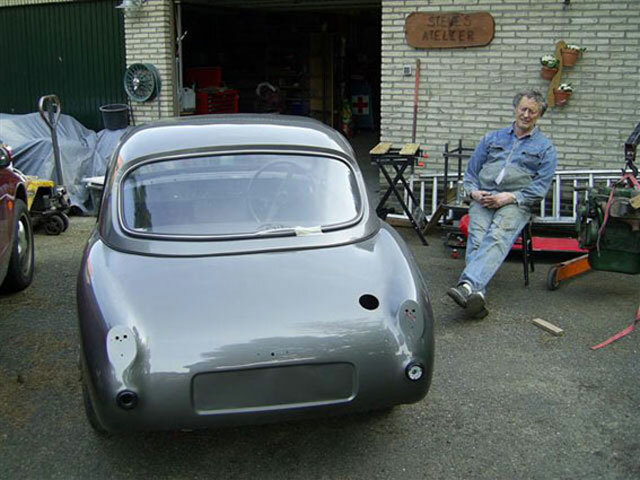 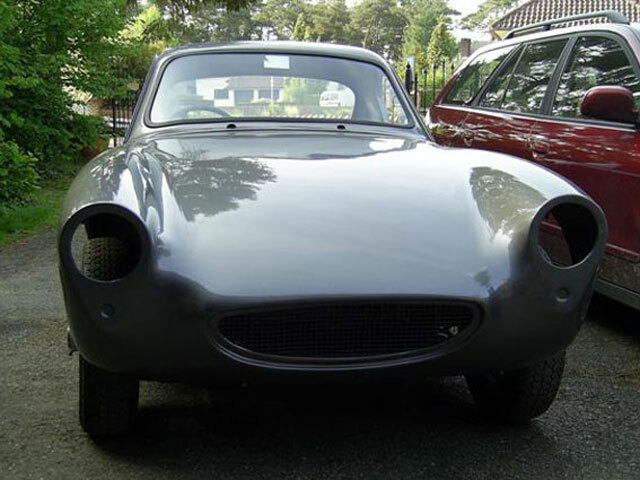 Many years later, in 1987, he decided to have the car restored and left it with Brian Wheeler where it remained until 2007 when Brian began restoring the shell and repainted it in its current gun-metal grey. 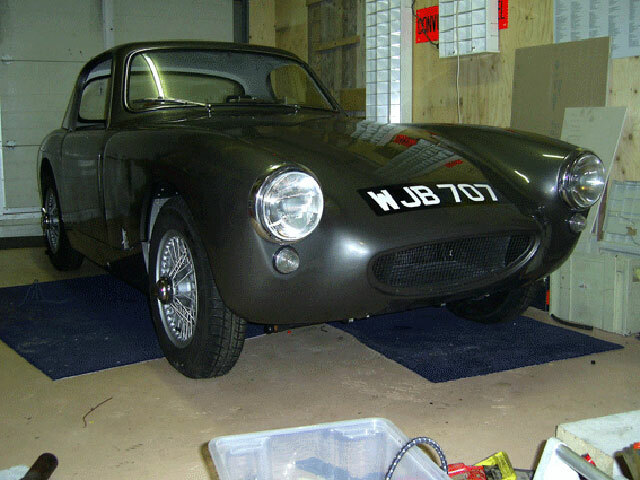 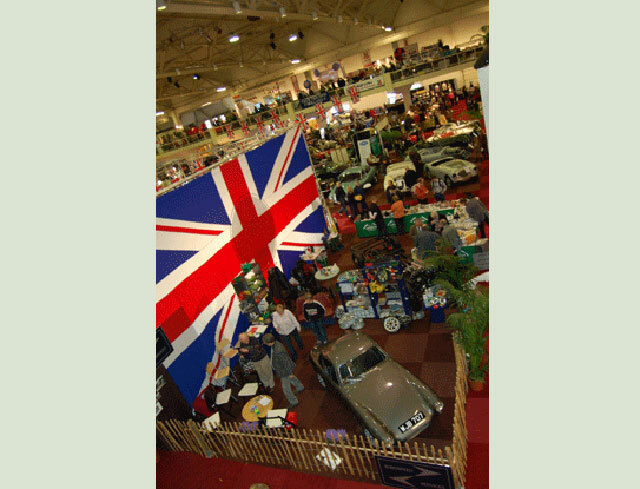 It then appeared at the Sprite 50th celebrations in May 2008, without engine or gearbox but by the following year it was completed and in full running order. 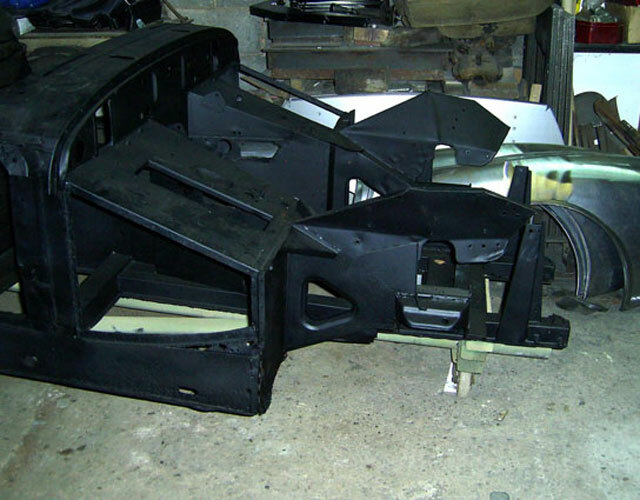 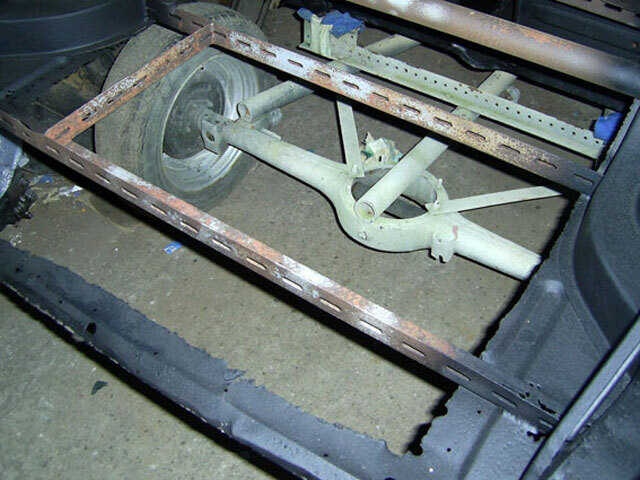 Despite lying out in the open for many years the shell was in remarkably good condition, but needed some new panels. 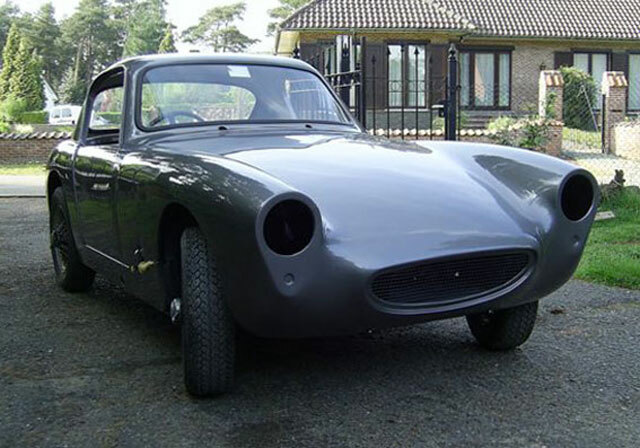 The car was restored in Wheeler & Davies's workshops and re-sprayed in its original gun-metal grey. 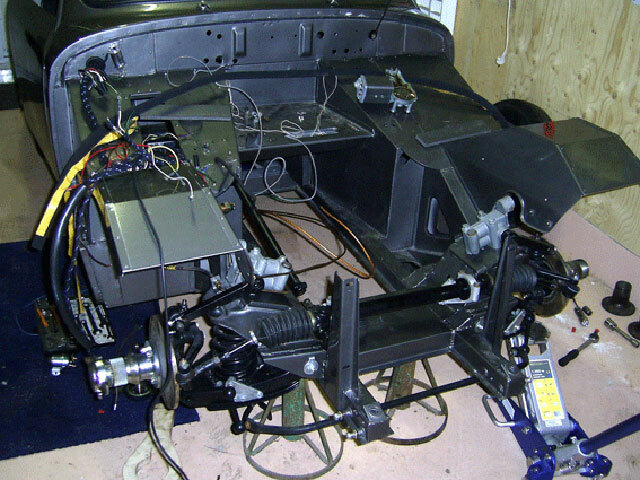 Above: the car is nearly ready for the road. 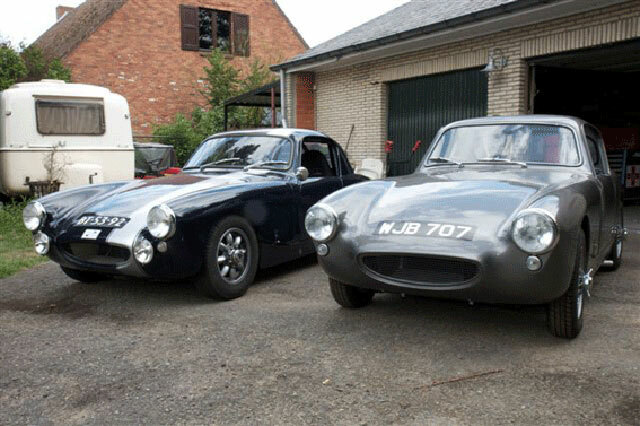 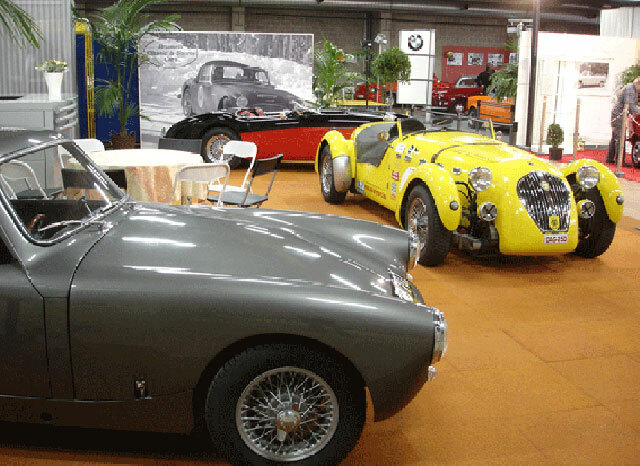 The restoration completed WJB shares her stable with Stephen's rally Sebring replica. 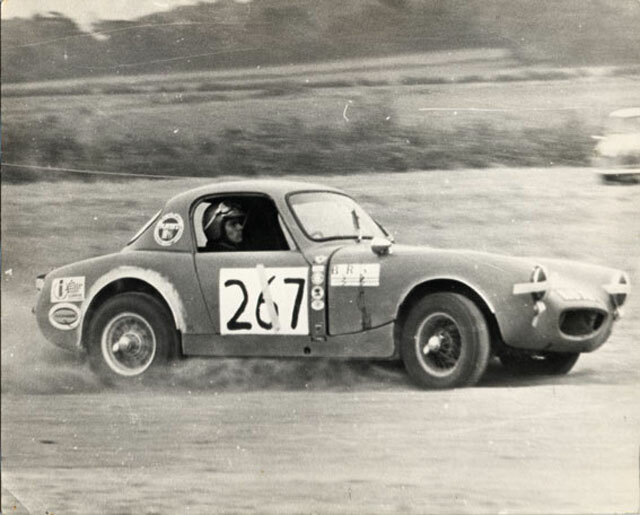 This lovely little period racing car is currently (July 2017) being offered for sale by CCK Historic. 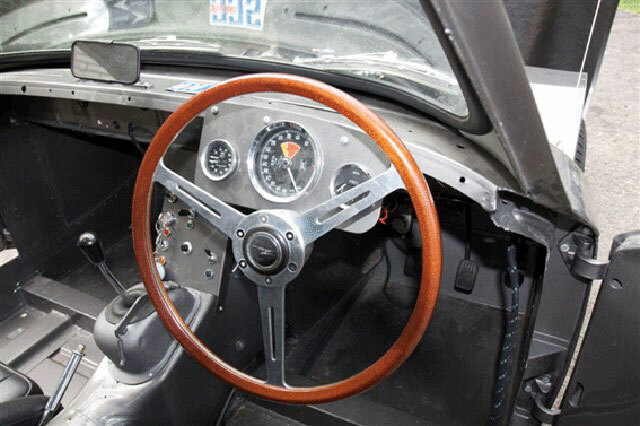 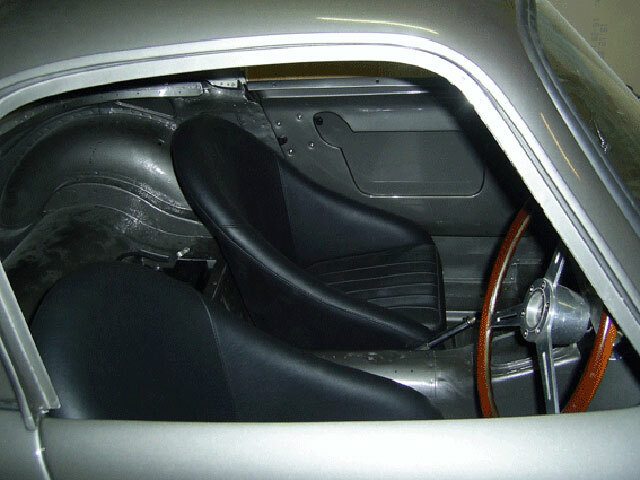 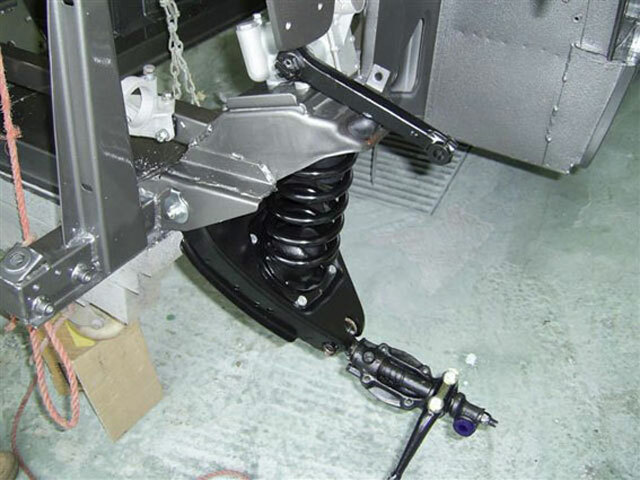 To go historic racing it would need the addition of modern safety features like a roll cage, seats and belts and one would need to extract more power from the motor. 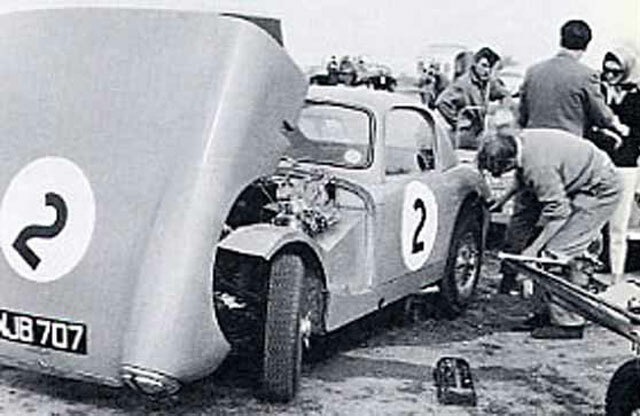 An application would then need to be made for the requisite FIA HTPapers for which it should certainly be eligible.